Is it possible to bring back Aero preview on alt+tab in Windows 10? 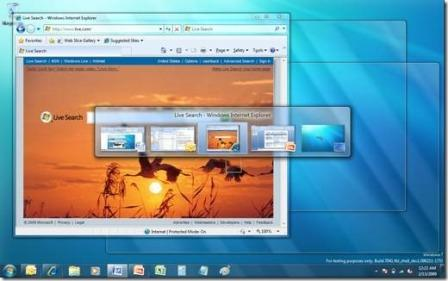 Back in Windows 7, when one presses alt+tab the "Windows Flip" menu appears and if (s)he holds alt but stops pressing tab, a preview of the app appears. In Windows 10, the behaviour is different: the menu looks different (not sure if it can be still refered as "Windows Flip") and holding alt without pressing tab doesn't bring the preview. While I'm ok with the menu itself, I wonder if there's a way to bring the preivew back. 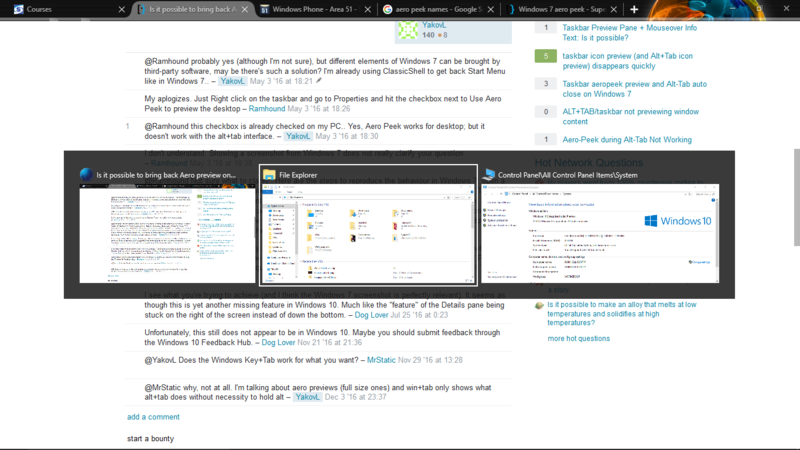 PS As mentioned in comments, Aero Peek works for me for previewing desktop (when cursor hovers over bottom right corner thing on TaskBar); and also works with elements on TaskBar (hover mouse over an element → get a smaller preview; hover mouse over that preview → get full window preview which is what I miss when using alt+tab). Not the answer you're looking for? Browse other questions tagged windows-7 windows windows-10 aero or ask your own question. Is there a way to interact with the Alt-Tab window with the mouse?